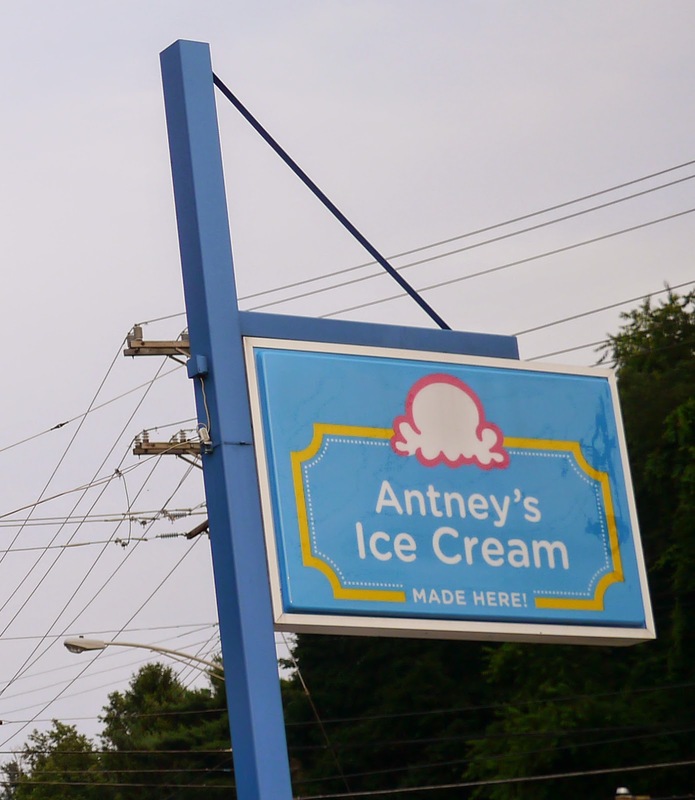 Saturday evening, on our way home from dinner, we veered off into Green Tree in search of Antney's Ice Cream. I had never heard of Antney's and then suddenly, it was everywhere. In Pittsburgh Magazine's Best of the Burgh 2014. In my Twitter feed. Rave reviews on Urbanspoon & Yelp. We decided we had to try it. There are interesting flavors. It was tough to choose. We were full from dinner, but in the end we decided to try 3 Taster Scoops: Chocolate Zinfandel, Coffee Caramel Swirl, and Fresh Mint Chocolate Chip. The Fresh Mint Chip was refreshingly minty but light on the chips - boo. The caramel in the Coffee Caramel Swirl tasted too sweet, making me think of a bottle of cheap, store bought caramel goop instead of a smooth, rich homemade caramel - or maybe there was just too much caramel swirled in? The Chocolate Zinfandel didn't taste especially zinfandel-y but had a nice chocolate flavor -- but after 2 bites it started to not taste very good. Here's the thing: the texture on all 3 scoops seemed off. The ice cream was kind of taffy-stretchy-gooey. It pulled like melted cheese or bubble gum when I took a spoonful. It was softish, but not smooth, soft serve soft. I ended up not enjoying it at all and I felt a little sick after I ate it (and we couldn't even finish it all). 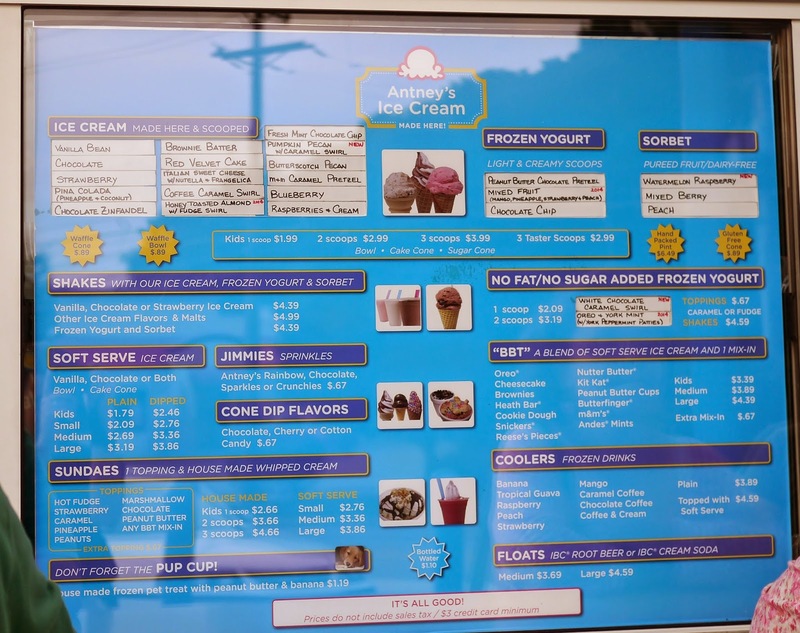 I am amazed, astounded, in disbelief that this is the ice cream listed as a Best in the Burgh favorite thing, that is raved about with 4.5 stars on Yelp and 99% like rating on Urbanspoon. I really wanted to like it. There are unique, interesting flavors. It's not too far from home. But between the lack of chips, too sweet caramel, strange pulling, gooey texture... I just can't. I do not think we will be going back. I would have been happier with a twist cone from Dairy Queen and I'd choose Scoops On Beverly over this. But it looks like we are the only ones who don't love Antney's - so you should go and check it out yourself.